To provide relevant services to a community, TAPI works with local organizations to complete a needs assessment and offer a tailored training to local providers. 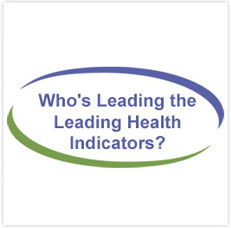 TAPI brings together key stakeholders in Arizona, including local public health departments, state and private Medicaid offices, community health centers, professional associations, advocacy organizations, and health care providers. With input from its members, TAPI works to increase the number of fully immunized children, adolescents, and adults in the state through advocacy, provider training, and community awareness and education. A key element of TAPI’s work is education and training for both consumers and health care providers. TAPI has developed informational materials in both English and Spanish that are distributed to schools, child care facilities, private providers, county health departments, community health centers, managed care organizations, and the Special Supplemental Nutrition Program for Women, Infants, and Children (WIC) sites across the state. In addition, TAPI hosts one-day trainings for health care providers that review parent education strategies, immunization schedules and vaccine administration, proper vaccine storage and inventory, and overall best practices. 1The Arizona Partnership for Immunization. 2013 Year End Report: Building Strong Partnerships in the Immunization Community. 2Centers for Disease Control and Prevention. National, State, and Local Area Vaccination Coverage Among Children Aged 19–35 Months – United States, 2012. Morbidity and Mortality Weekly Report. September 13, 2013/62(36);733-740. 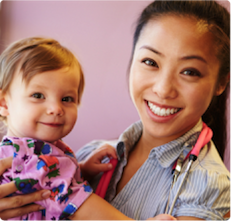 To foster a comprehensive, sustained community program for the immunization of Arizonans against vaccine preventable diseases.